One of the strongest seasons in Cal’s recent history has earned it the third seed in the tournament. Cal will face Michigan in the quarterfinals Friday evening. Nevertheless, Cal showed impressive resilience the following match against UCLA. The Bear defense turned it on and allowed only three goals against their talented interstate rival. The Bears will face a murderers’ row on the road to a third MPSF championship, which they first won in 1999 and most recently in 2011. Cal’s first loss of this season was at the hands of Stanford, but revenge was taken later in a triple-overtime thriller weeks later. Antal’s flurry of goals placed her in a tie for 13th on the MPSF all-time scoring list. She now has 238 career scores. No. 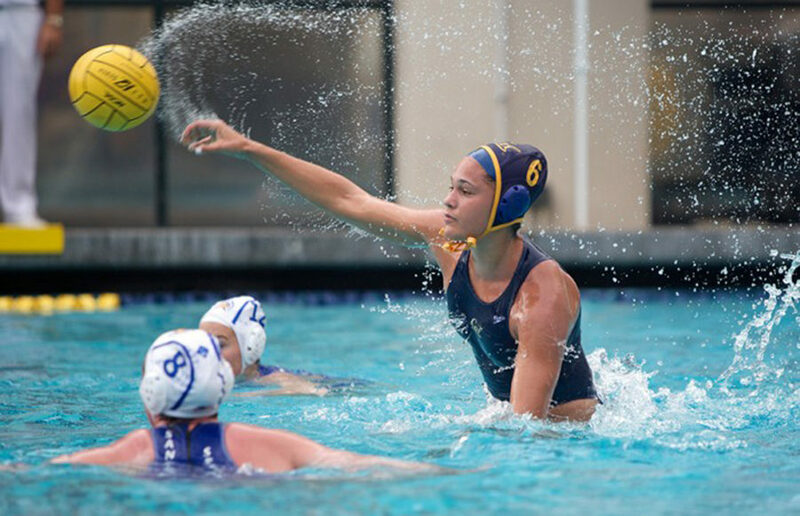 3 Cal women’s water polo will close the season at No. 9 UC Davis on Saturday afternoon. The defensive end had been the hallmark of Cal’s success this season, but the steady performance was missing in this matchup. With a win, Cal will clinch its first-ever outright MPSF championship, and would likely finish with a perfect conference record of 6-0. Even though the evening was meant to honor the seniors, the underclassmen and their stellar play provided a glimpse into Cal’s bright future. Cal (15-3, 3-0) held sole possession of the top ranking for one week, but has now been tied at No. 1 again by the defending champion Stanford. The flurry of goals left the Sun Devils dazed and reminded fans of the Bears’ star firepower that has them ranked first.